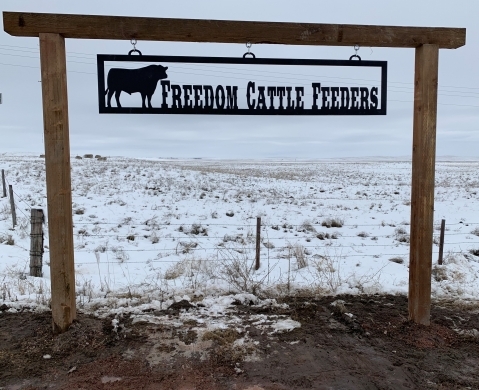 Freedom Cattle Feeders located in western Nebraska ordered this 8 foot sign cut from 3/16" steel. 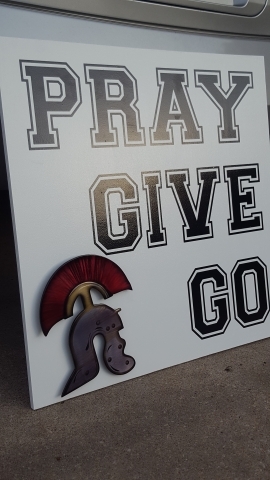 The sign was sand blasted and powder coated before shipping to NE. The wooden structure was build by the owner. 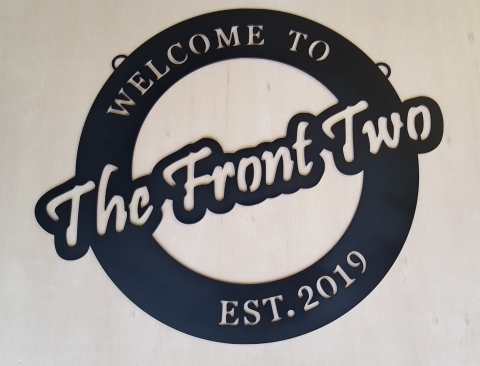 ​The Front Two sign was a house closing gift for a couple who built a beautiful home in the Dallas area. 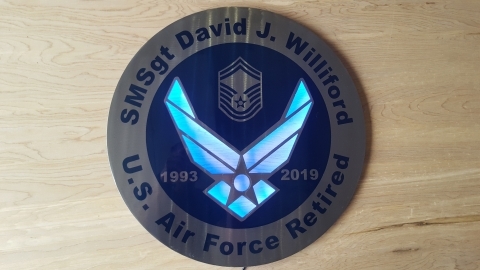 The sign was cut from 1/8", sand blasted and powder coated black. My customer wasn't sure if the home owners would want to mount the sign on a wall or hang it, so we decided to place to hanging hoops at the top for the option. 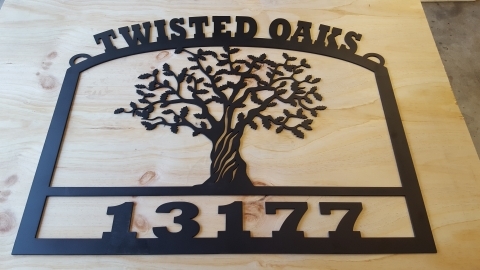 Triple O Ranch located in New Braunfals TX wanted this 8 foot sign cut from a heavy duty 3/16". Since it was going to hang from the top of the sign, they didn't want the strong winds that they usually get to blow the sign around. 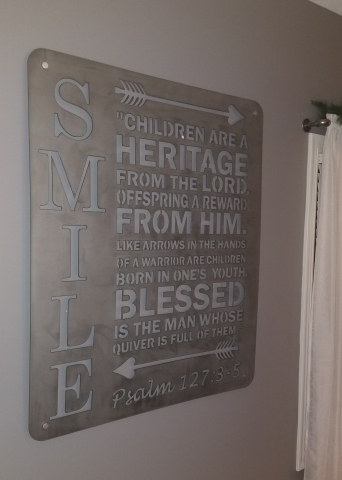 The sign was powder coated in a rustic color to simulate a rusty finish. 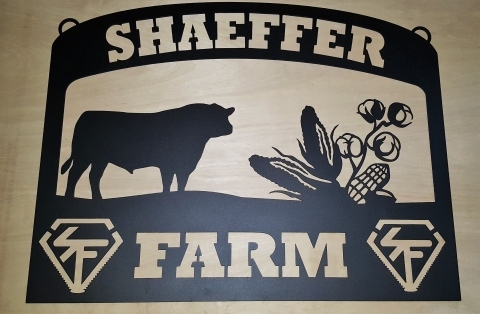 Great looking sign that was sent to a farm in Alabama. 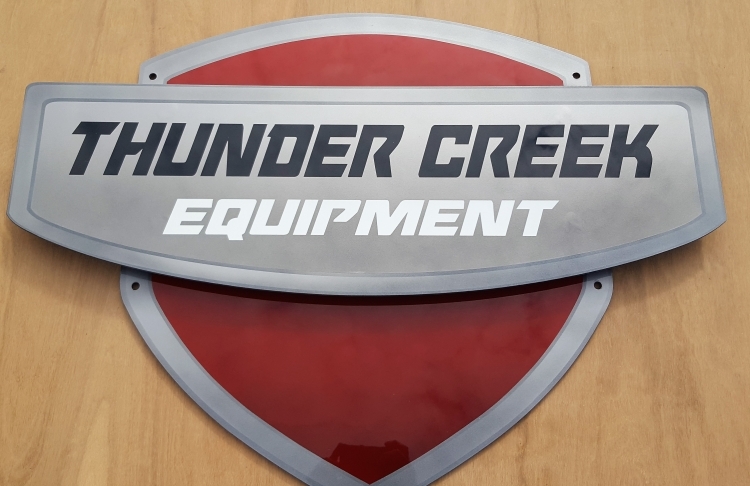 They do a lot of work with combines, hence the logo. They also farm cotton, peanuts, corn and raise beef. Cut from 1/8" steel with hanging hoops at the top for chain. 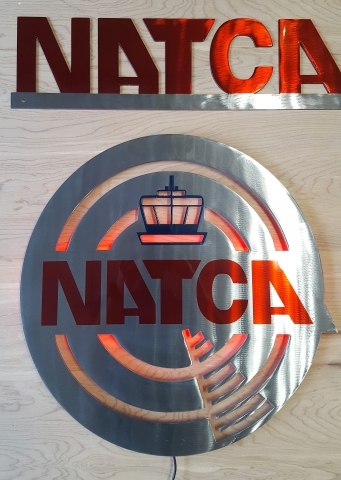 Here are a couple of NATCA signs that I donated to NATCA's charitable foundation auction at the Communication For Safety 2018 event. They seem to have become pretty popular. I'm glad that my work can help raise money for various charities. 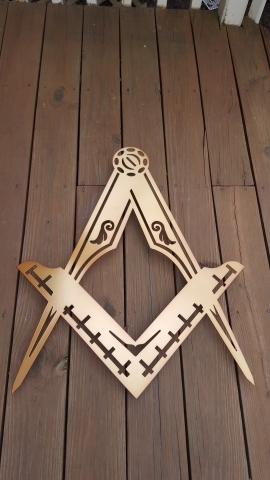 ​This Masons logo was sent to the Virgin Island. The piece is going to be mounted on a gate with pressure plates on the backside (pic below). Stainless steel bolts and hardware were used to help combat the salty environment on the island. 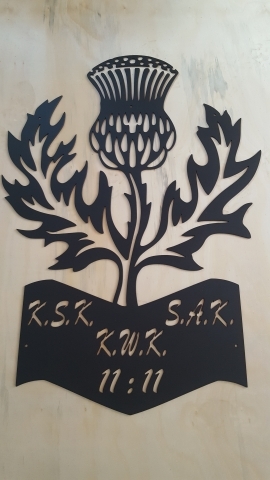 ​Scottish Thistle cut from 1/8" steel, sand blasted and powder coated black. 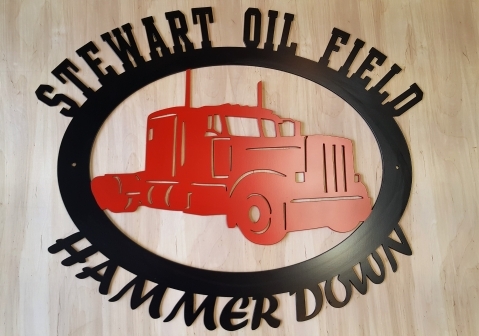 ​2 Color sign for a family member who runs an oil field trucking company in South Texas. Cut from 1/8" steel with 2 mounting holes. 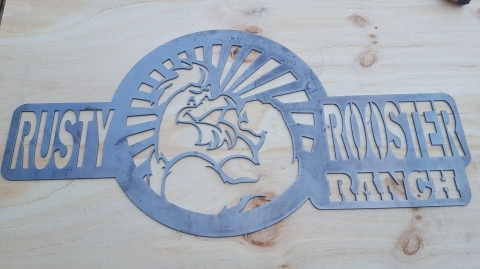 My customer asked that I turn his logo into a metal sign that he could weld on to his entrance. Once he gets it welded in place he will paint it a nice fitting red color. I have to admit, this is one cool sign. 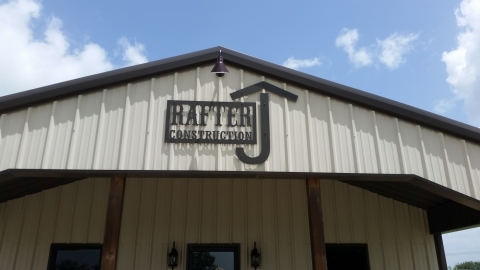 Rafter J Construction is a general contractor in Victoria, TX that specializes in metal buildings. They asked that I create their logo in a way that can be mounted on their office building above their door. 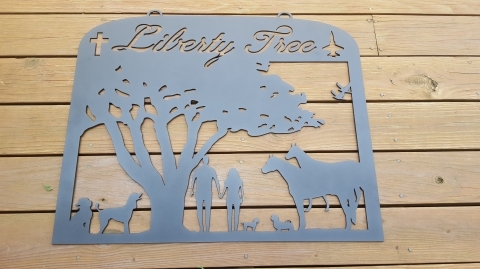 It's a 3 part sign cut from 1/8" steel and powder coated in a bronze color that matches the buildings trim. 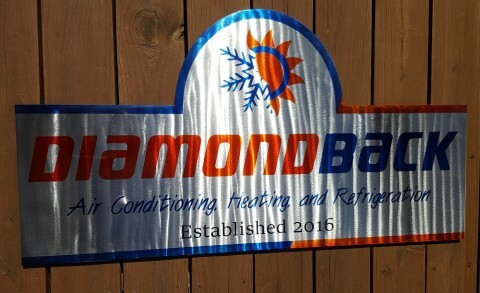 I was asked to make this sign as a birthday gift for one of the owners of Diamond Back HVAC out of La Vernia, TX. It is made from 1/8" metal, polished, painted, clear coated then polished to a glossy shine . 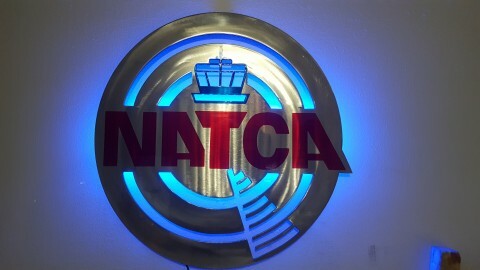 ​I was asked by our facility VP if I would make something for the NATCA convention this year to help raise money for the charitable foundation. It's cut from 1/8" plate, glossy clear coat and color changing LED lights light up the radar sweep. 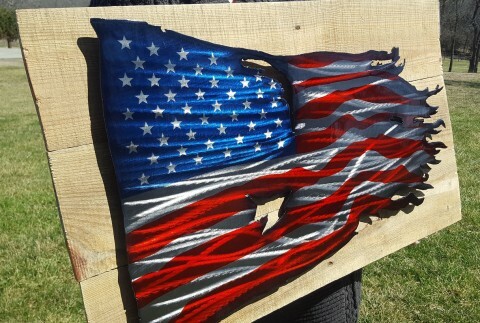 Here is a tattered flag that I donated to our schools auction. Its a slightly different design than then others that I've done. I've removed the cutouts that outline the stripes. Just trying something different. I like it!